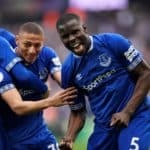 Robert Huth´s first-half strike condemned Everton to a desperately disappointing 1-0 defeat on home soil to Stoke City. From then on, Stoke strolled to victory against a desperately impotent Everton. 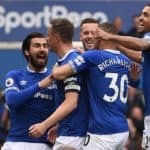 A case of ´same old story´ to which the Goodison faithful have become accustomed, an impotent side completely devoid of nous, creativity or any idea in the final third. The less said about this one the better. Grim. Moyes: â€œWe huffed and puffed a little bit, Their keeperâ€™s not had a save to make. What wins games is goals; they got the goal and we didnâ€™t. â€œWe didnâ€™t concede many chances. We defended the corner but we didnâ€™t defend the edge of the box. â€œWe werenâ€™t the biggest side today and it was always going to be difficult, but we hadnâ€™t done an awful lot wrong and I donâ€™t think we deserved to be behind. We had to go chasing it after that. â€œThe expectations are that we should be winning these sort of games. But Stoke have spent money in the transfer market and we havenâ€™t.